It's time to expand our diets. Did you know that not all bananas are yellow or curved like a half moon? Some are straight, some are stumpy, some are even red! There are actually 1 000 different varieties of bananas, but many of us wouldn’t know that from our markets or stores where Cavendish bananas are the ones primarily featured. Because they bruise less easily in transport and have high yields, these “typical” bananas are the ones most often produced. Despite the huge variety that exist in the world, Cavendish bananas constitute nearly 50% of bananas grown globally. The story is the same for many of our fruits and vegetables. Over human history, out of about 30 000 edible plant species, 6 000 – 7 000 species have been cultivated for food. Yet, today we only grow approximately 170 crops on a commercially significant scale. Even more surprising, we depend highly on only about 30 of them to provide us with calories and nutrients that we need every day. More than 40 percent of our daily calories come from three staple crops: rice, wheat and maize! There are thousands of crops that have been neglected or underutilized for centuries. This is not just a shame for all the flavors that we are missing out on, but also for the nutrients that they provide. These “neglected” crops are generally indigenous or traditional crops that thrive in specific regions of the world. Either because they are grown in small geographical areas, have low yields, require extensive processing, are susceptible to pests or simply haven’t been well researched, they never entered into the global market and, therefore, many people never know they exist – sometimes even products from our own regions. Backed by the right policies and funding, these neglected varieties could one day get recognition in the global market. 1. They enrich our diets – Traditional crops are often very nutritious and can offer us a more well-balanced diet. Quinoa, for example, is the only cereal that contains all the amino acids needed by human beings. The bambara ground nut offers a great source of protein, and millet is high in calcium and iron. Currently, about 1.5 billion people in the world are affected by one or more forms of micronutrient deficiency. Deficiencies in iron, zinc, iodine, vitamins A, B12 and D are widespread in both underdeveloped and developing countries, especially among women and children. These deficiencies occur not only in people who are underweight but also in people who are overweight and obese. Many traditional and underutilized crops such as these are rich in micronutrients and can help add essentials back into our increasingly oversimplified diets. 2. They safeguard our agriculture – By relying on so few crops to feed the majority of the world, we leave ourselves vulnerable to one disease or pest destroying a large part of our food systems. Monocropping, growing just one type of crop, is particularly prone to devastation, reduced yields and soil degradation. Relying on a greater number of crops that are valued and appreciated on the global market, means that farmers have more options of what to grow and how to inter-plant their fields. These make for more sustainable food production systems and stop the spread of some pests and disease infestations. 3. They beat climate change at its own game – Traditional crops are particularly useful as many have climate-resistant properties, like being able to survive floods or droughts. They can also grow in some types of climates in which other “standard” crops cannot grow. Cactus pear grows in deserts and arid areas, oca and quinoa survive at high altitudes and some breadfruit varieties even thrive in sandy or saline soils. With desertification a growing challenge and climate extremes becoming more frequent, these crops are solutions for places where it is difficult to grow any other food. 4. They keep traditional knowledge alive - It is not just traditional crops that are being ignored, it is the traditional way of growing and harvesting them. Indigenous peoples, for example, have used many agricultural methods, terracing is one of these, that are naturally sustainable i.e. making better use of water, requiring little to no fertilizers or helping replenish the soil, as some examples. Going into a future where we need to grow more food for more people on the planet, we need to make sustainability our new way of life, and these traditional methods are valuable tools in this approach. 5. They can boost the livelihoods of small-scale farmers and local producers – Some traditional crops have good commercial potential and could be an excellent cash crop for a small scale or family farmers. 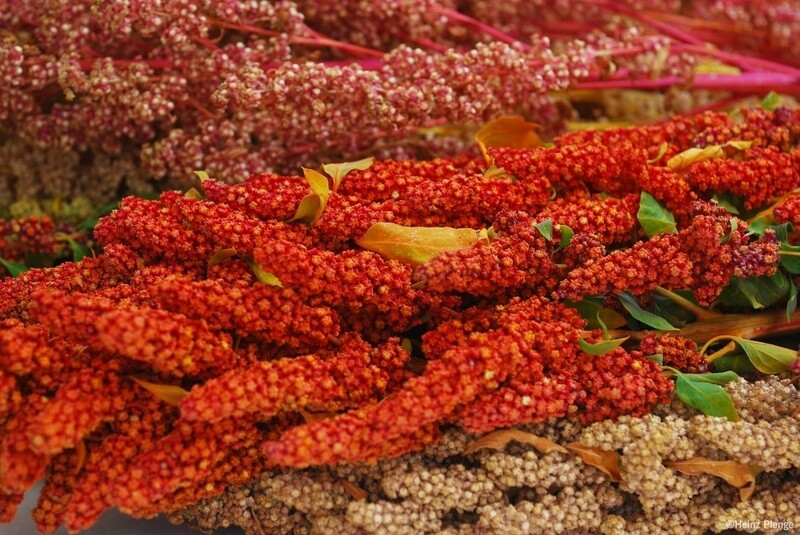 Quinoa, as one example, used to be a subsistence crop in Bolivia, Peru and Ecuador, but because of increased visibility and attracted interest, production almost tripled between 1992 and 2010. It is now grown in over 70 countries. In addition, traditional crops, like pulses, are also useful for intercropping and actually increase yields of other crops, helping to raise incomes for farmers and their families. Next time you are in a local market, instead of gravitating towards the same fruits and vegetables, look around for ones that you don’t normally notice and try something new. You can diversify your own diet while starting to shine the light on some of these forgotten foods. Let’s start to know what we have been missing. This article was originally published by the FAO.